There’s a Tumblr page called Ruth And Martin’s Album Club that’s built on a simple concept: Each week, they get a guest to pick a “critically acclaimed album they’ve never listened to” and then offer their opinion of the album after listening to it “at least three times.” This week, Ruth And Martin’s Album Club managed to land J.K. Rowling, the extremely famous Harry Potter author who seems to spend most of her time these days owning people on Twitter. 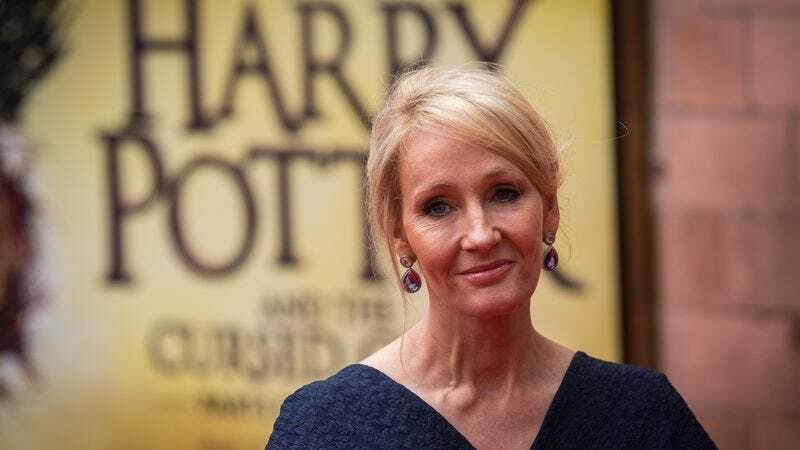 Rowling was asked to review the Violent Femmes’ 1983 self-titled debut, explaining beforehand that her current favorite albums are Revolver by The Beatles, Broken English by Marianne Faithful, and Hozier’s self-titled album. The whole piece is interesting, both for Rowling’s thoughts and a little prologue story about the Violent Femmes, and there’s a whole archive of other guests reviewing albums they’ve never heard of.